2. Select Save Column Set. The first option allows you to name the column set to your library. 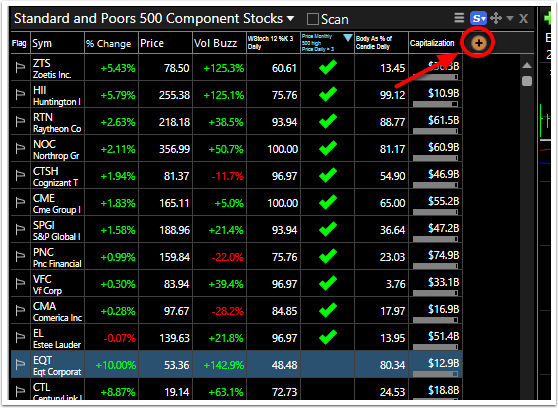 The second option allows you to save the column set to the active watchlistlist. 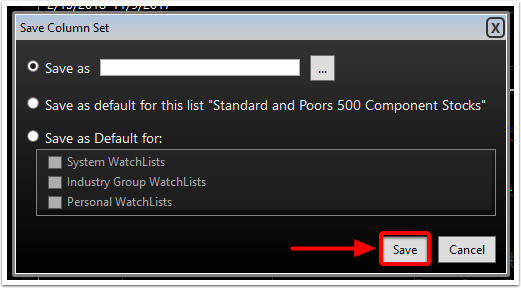 The third option allows you to save this column set as a default for any of the choices below. Place a check mark next to the items that you would like to set the column default for. 3. Click on the Save button to apply your choice.